Exceptionally powerful. Surprisingly smooth. 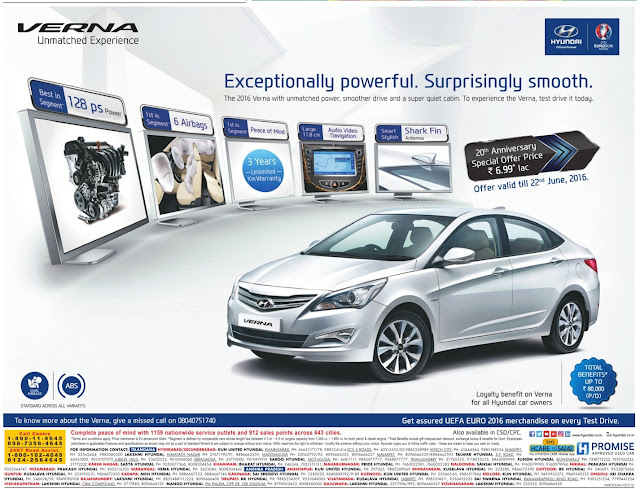 The 2016 Verna with unmatched power, smoother drive and super quiet cabin. To experience the Verna, test drive it today. Loyality benefit on verna for all Hyundai car owners. Get assured UEFA EURO 2016 merchandise on every Test Drive. To know more about the verna, give a missed call on 08040751740.